Snow flocked evergreen and all white. What Christmasworld calls "Airy". This is the classic white and metallic combination, softened with fluffy textures and transparent or frosted glass. Target called this color scheme "Arctic Solstice". Check out "White and Silver" idea and the etsy shop @ Trash to Treasure.com to further explore some white themed looks. Natural and crafty. What Christmasworld calls "Banzai East"is one interpretation with colors of "Orange-gold, linden green and sky blue". The world of the field and forest contributes another metamorphosis of the organic and simple decorating theme. The Eastern influenced look would be simpler and more streamlined, the Western would have more woodland animal and twiggy accents. Pottery Barn has this choice sparkled up with soft old gold for shine. Red and White comes with two interpretations. One is the peppermint stick look all glitzed up with glitter and sparkles, the other is an addition to the natural and crafty look; both are very traditional. 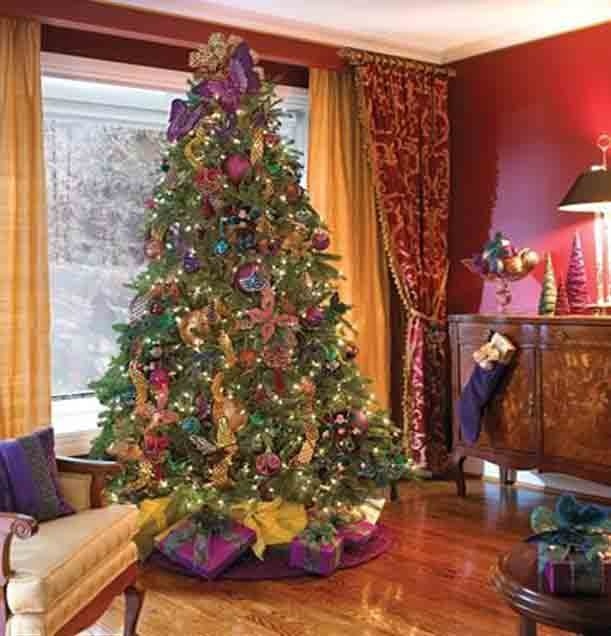 Purples and plums are still loved and seem to be most at home with a Victorian theme.Accented with pink and pink-gold, angel figures, taffeta ribbons and filigreed metal ornaments make visions of sugar plums dance in your head. A rich and detailed theme with lots of sentiment of the season sprinkled in. "Hot holiday colour trends this year are copper, burgundy, amber, rich earth-tones, soft pastels in shades of light turquoise, moss green and pretty pinks. Modern colours are in, like apple green, tangerine orange, hot pink and chocolate hues. Anything with a '60s or '70s influence is back, especially tinsel and anything that glitters." 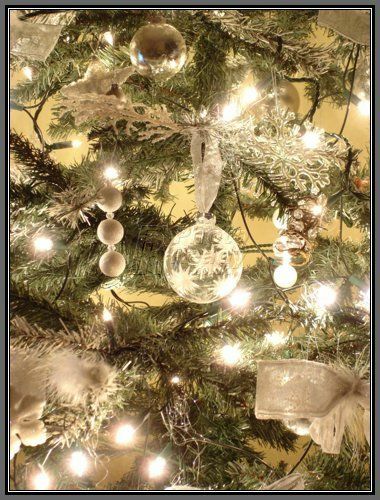 For more detailed ideas on Christmas Décor, see my Loving Christmas decorating themes page. Beach themes, Gingerbread themes,Victorian, or International theme ideas- spark your own imagination.